Quite funny! Loved this parody game, it feels just right. The setting was excellent, hope we'll see it in a sequel some day! Love everything about this game!!! The concept drew me in immediately, and the tone/humor got me hooked. Great art, great music, love the writing, fun character designs, and the puzzles were pretty satisfying to solve. Oh my god this was so cute and fun. Your art style is so crisp and fun, and the dialogue is way too snappy and perfect. 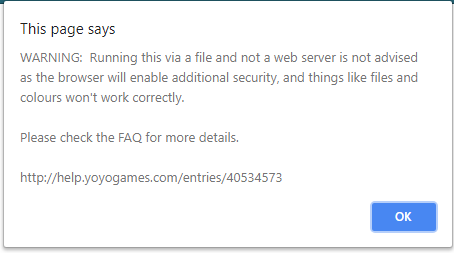 I finished it in the browser, but I tried downloading the game, and the zip seems to be an empty file? oh no! I'm glad you enjoyed it, though! I'll get it fixed as soon as I'm back home! Um... Now it says "The developer has not uploaded a game yet..." at the top of the page, there are no files to download, and the game is not even playable in the browser anymore. What's going on? Really enjoyable story, solid mechanics, and interesting characters! And the sound design/music are excellent. Thank you! What's going on with the game? Are you using the download or playing in-browser? Happy you enjoyed it and would love to see more added to this game it's a really fun world that can be developed further. Utterly charming game. Very cleverly written. I could play a much longer game like this. Thank you! I may add on more when I have the time to! Definitely enjoyed making this! Amazing game! I loved the art and the UI was very sleek as well! The writing was terrific too and gave me a good laugh. I hope you make more games like these! In the future, for sure! I'm glad that you enjoyed it!! Added one! Hopefully it works for you! Just extract the contents of the zip to a folder and then open up the index.html file! It keeps giving me this message... Will I have to follow the steps on the page and download an application or is there an easier way? Thanks! This is the best thing I've played all year.........!!!!!!!!! It's SO FUNNY ✨✨✨ I love it so much!!! <3 I'm really glad you enjoyed it so much!! !